The preferred method of knife storage in a kitchen is on the wall: attractive, always accessible and clean. 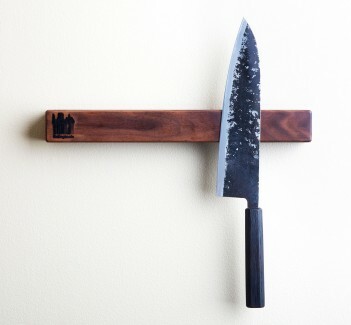 Handmade in the Cut Brooklyn shop these walnut wall magnets contain a strip of rare earth magnets set into the wood from the back to hold your blades safe and securely. The same setup that Joel Bukiewicz uses to display his knives in the Cut Brooklyn showroom on 3rd Ave in Gowanas, Brooklyn. Mounting hardware comes with each, consisting of two basic wood screws and wall anchors. 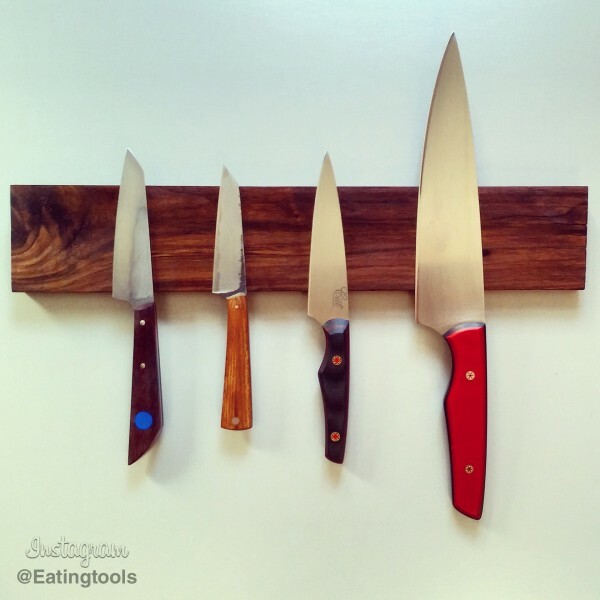 The Eatingtools Walnut Magnetic Knife Rack is now available. 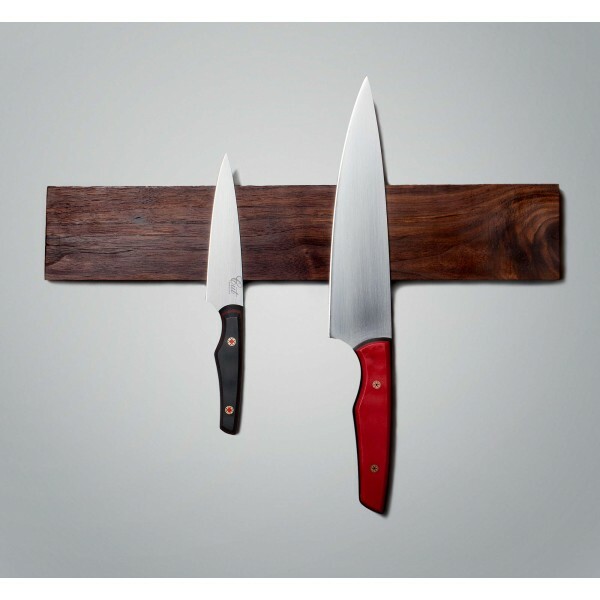 Known for his iconic Journeyman and Prospect model kitchen knives geared towards home and professional chefs, Cut Brooklyn offers select accessories as well including these beautiful wall knife magnets made from walnut wood and this homemade Natural Wood Wax. Available in 13" and 16"